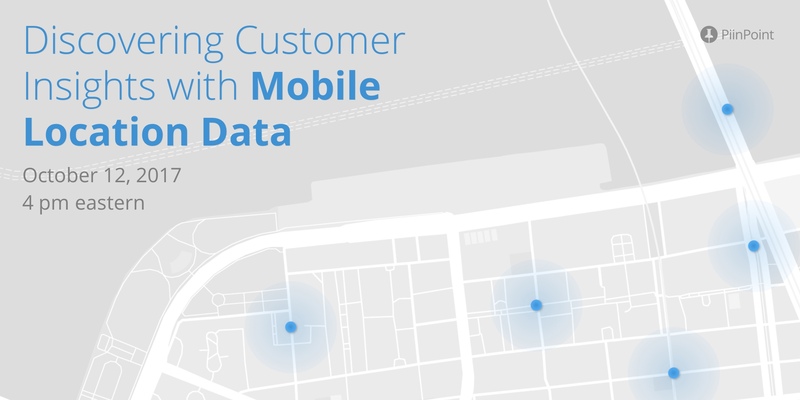 Mobile location data has often been called the "holy grail" of retail real estate. As the world goes mobile, the importance of being able to access and interpret the patterns of human movement is becoming more and more critical to retail. On October 12th, join PiinPoint founders Jim Robeson and Adam Saunders in a compelling talk on the power of using cell phone signal data in site selection. How is cell data collected? What kind of insights can I get from cell data that will help me in market planning and site selection? Where can I access this data? Get free site selection tips and resources delivered to your inbox.